Lancaster Readers Local Deals: $25 for $50 at Royer’s Flowers, $10 for $20 of Paint Your Own Pottery at Jen’s Pottery Den! 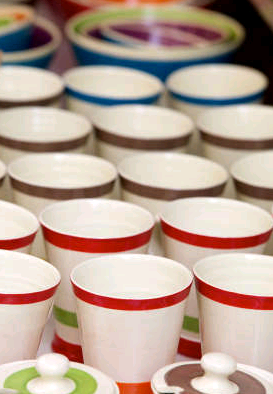 $10 for $20 worth of paint your own pottery from Jen’s Pottery Den! This looks like a fun activity to do with the kids (or not!) when the weather gets colder. You have until the end of the year to use the voucher for $20, and it will still be valid for a $10 credit through September 2016. $25 for $50 to spend on flowers from Royer’s Flowers and Gifts in Lancaster or Leola. A great deal to brighten someone’s day with flowers! This promotional value of the voucher expires on January 15, 2012. If you don’t use it by then, you can still use the paid value through September 2016. I like how Living Social does that so it’s not a total loss if you miss the deadline to use it!